Punxsutawney Phil didn’t see his shadow so that means an early spring! Now that you are done laughing, I hope you stayed warm during the storm that hit us this week. We are starting to see new fabric arrive again after the holidays. There are new westerns, colorful new batiks, happy camping novelty fabrics and so much more. We have new samples of the very popular pop up canisters, new spring banner pattern, a heart skinny for Valentine’s Day and new quilt samples in the works. Join us for a BOGO Sale this Saturday, February 6th. Stock up on quilt pattern books this weekend. Is there a pattern book you have been eyeing? This is your chance to add to your quilting library. Buy one quilt pattern book, get one of equal or lessor value free. This is an amazing deal. Sale is Saturday, February 6th only! Join us for the Quilt Essential’s UnFinished Objects (UFO) spring quilt retreat on May 19-22, 2016. We will gather at Sunlight Meadows Ranch on May 19th at 3:00. 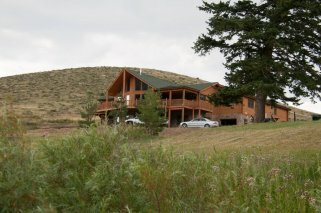 Sunlight Meadows Ranch is at 1000 Dear Meadows Way, Livermore, CO 80536. It is about 45 miles from Laramie and 15 minutes from Red Feather Lakes. Bring whatever projects you are working on. We’ll spend time quilting, laughing, eating and forming new friendships and strengthen old friendships all while enjoying the beautiful spring scenery. 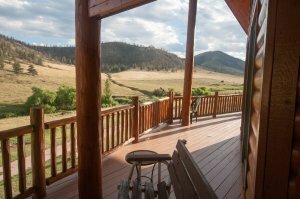 The Ranch provides sewing tables and chairs, your own bed, pillow, bedding and towels. Most beds are large twins. There are two kitchens, four bathrooms, two living rooms, and two TV areas. There are irons and cutting tables available however you may want to bring your own cutting mats. Registration is open now until May 6th. The registration fee is $275.00. The fee covers lodging and meals. Cancellations after May 6th are nonrefundable. Contact the shop to register. Space is limited, so sign up early! Remember to sign up for Facebook notifications at to get the most updated information from the shop. Check our calendar for other upcoming events like Second Saturday Sampler and the QE Book Club.